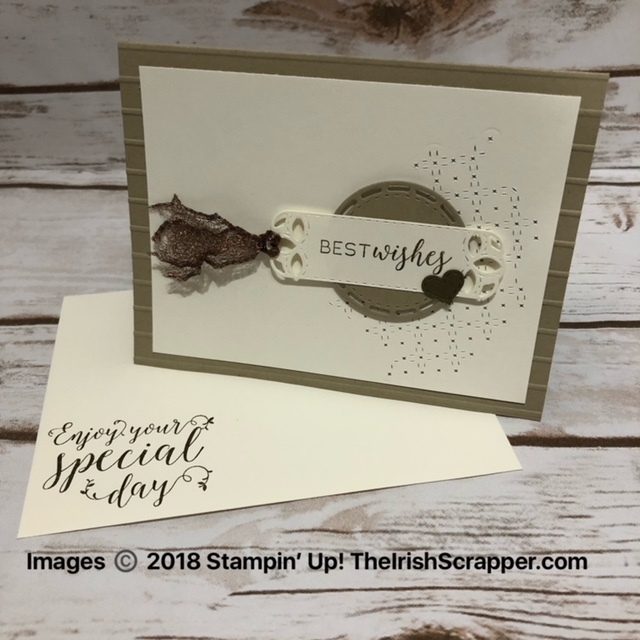 I'm so excited to share this card with you all! I'm in love with this new bundle called Cauldron Bubble from the Holiday Catalog. 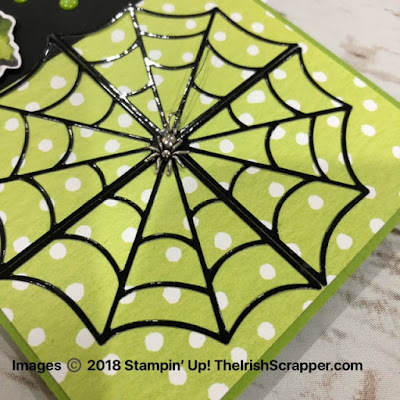 Today's card features this bundle but the star of this card is the black foil spider web! LOVE!! 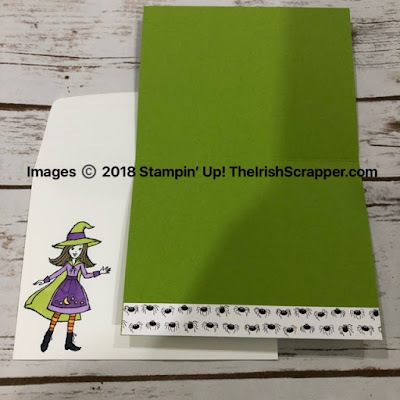 This is a fun and playful card and just what I needed today. I hope you enjoy it and order your bundle in my Online Store starting September 5, 2018. 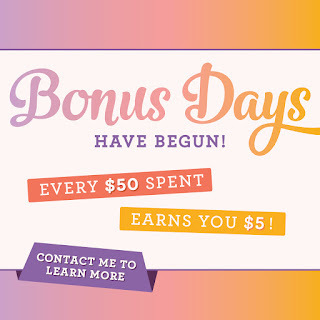 Earn your $5 Bonus Days coupon code now! 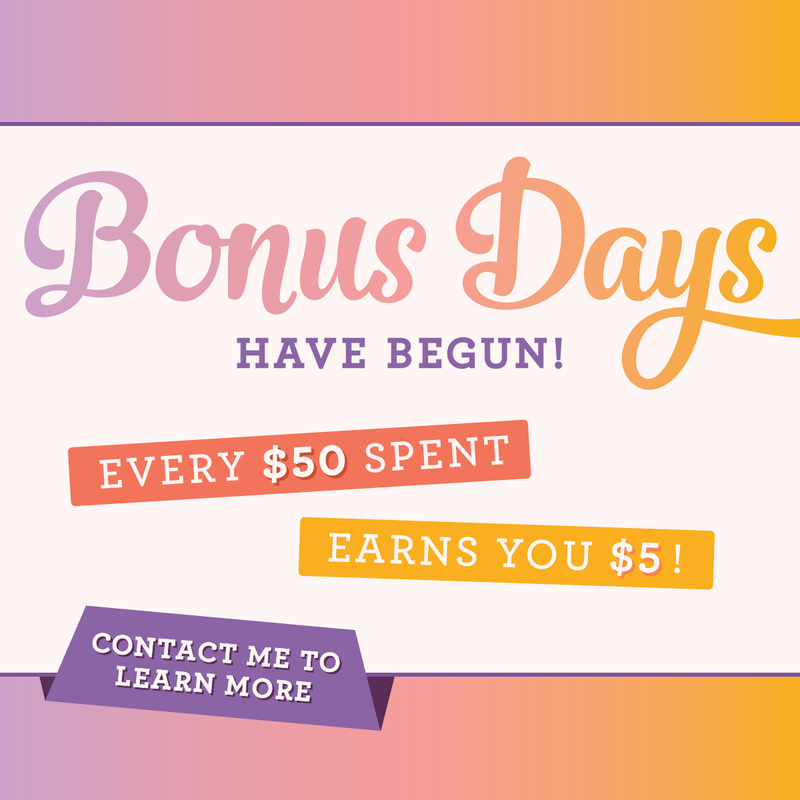 Coupon codes are delivered to your email and can be redeemed in September for some of today's products. Love Halloween? 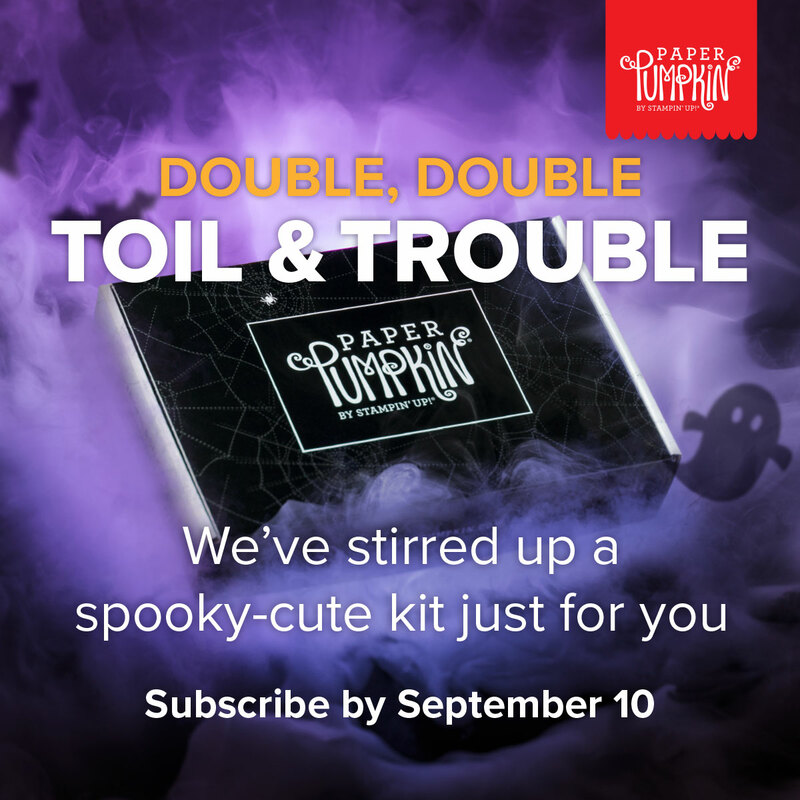 Order your spooky-cute kit by September 10, 2018. Is it every too early to start working on Christmas cards? LOL I don't think so! 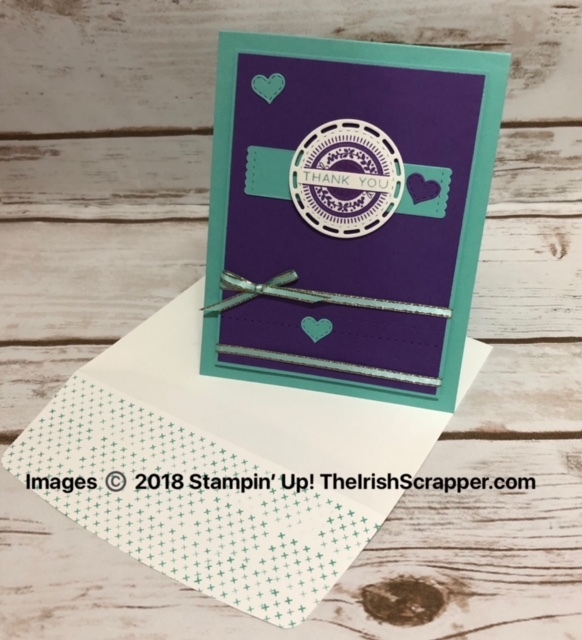 Today, I have a lovely card featuring a non-traditional color combo but I LOVE it!!! 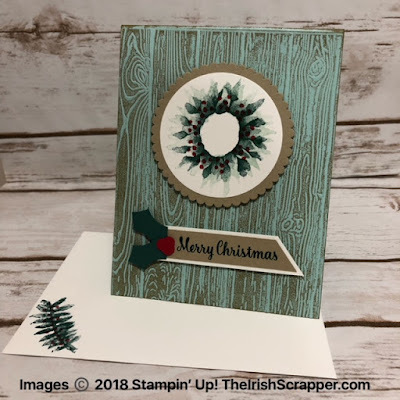 I used Painted Harvest, Snowflake Sentiments and Star of Light - three amazing sets from the annual catalog available now. The color combo I used is Pool Party, Tranquil Tide, Real Red and Crumb Cake. I wish my lightning was a little better...the wreath is so pretty. 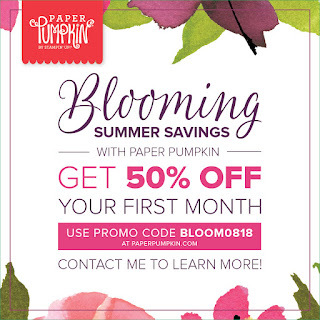 Coupon codes are delivered to your email and can be redeemed in September. 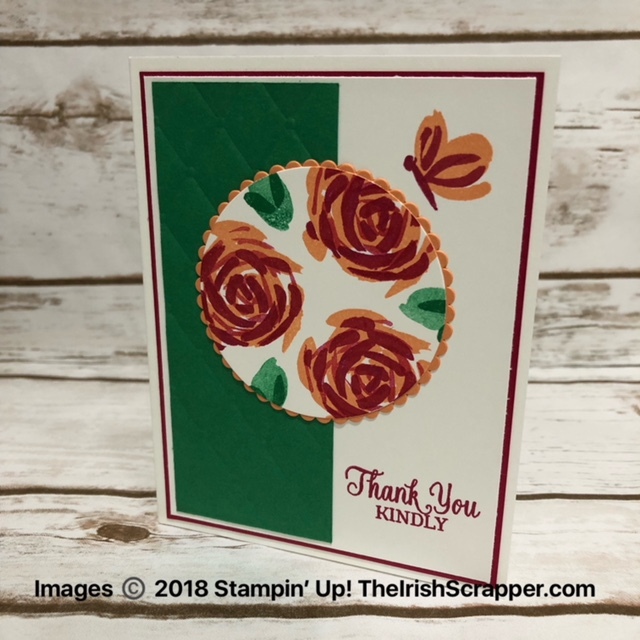 Today's project is a Thank You card featuring two stamp sets: Abstract Impressions and Kindness & Compassion. 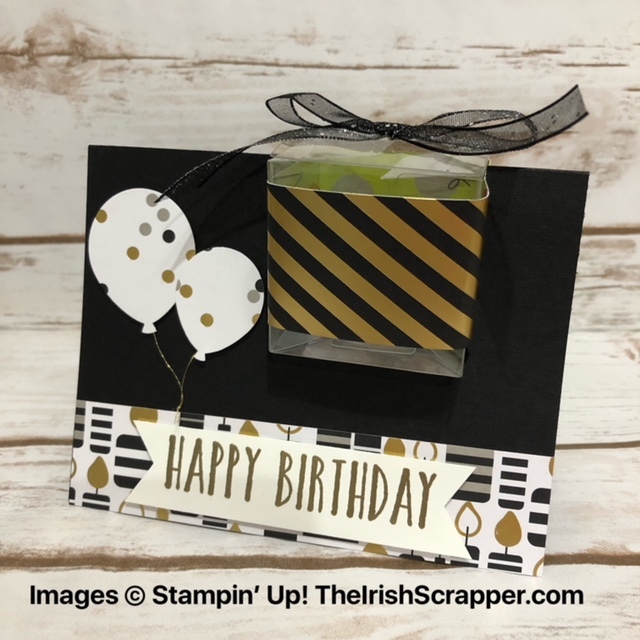 Abstract Impressions is a beautiful stamp set with 21 photopolymer stamps plus it's a two-step stamp. I love two-step stamps as it makes building interest in your card so easy! 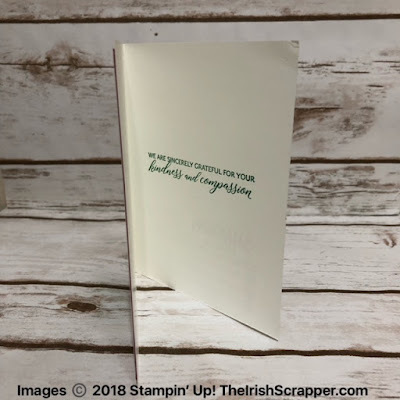 Kindness & Compassion is a new set in the annual catalog with just sentiments. It's perfect for many occasions. I created this card for the nursing staff caring for my father who is currently in the hospital. I am planning on leaving this card and some goodies for the staff to enjoy. I want to show them my appreciation and thank them for a job well done. Purchasing these two stamp sets, qualifies you for a $5 Bonus Days coupon code! I hope you have been visiting me frequently this week and enjoying the Stitched All Around series. I have really enjoyed this bundle. 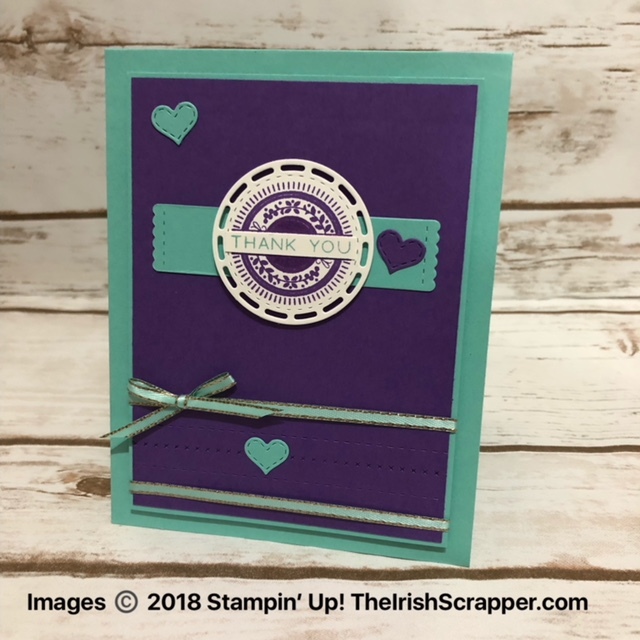 Today's project features a wedding card but really any celebratory moment! 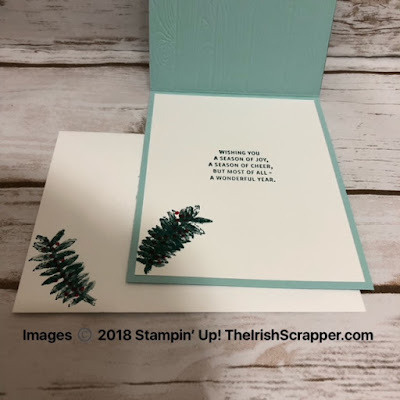 I love the simplicity of this card! Sometimes the simplest design turn into favorites. I used three of the framelits from this bundle on this card plus the Simple Stripes embossing folder. But I will admit one of my favorite parts of this card is the copper trim. Have you tried it yet? 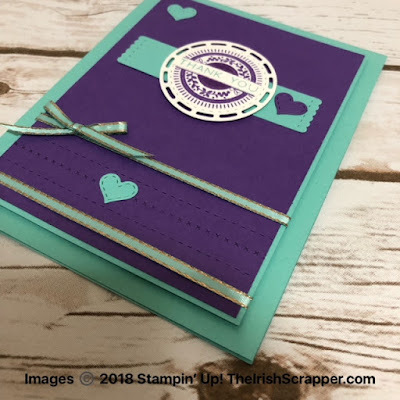 By pulling the trim apart you create this fun and funky look. 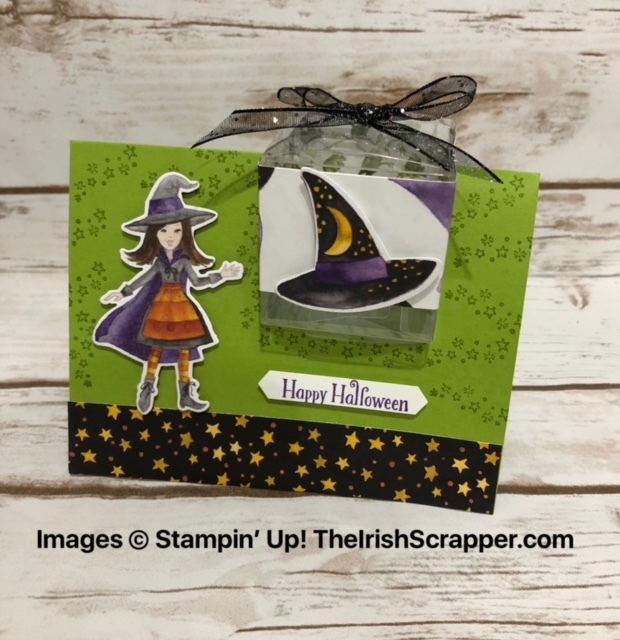 Are you a Halloween lover? If so, don't miss out on this frightfully fun Paper Pumpkin kit! 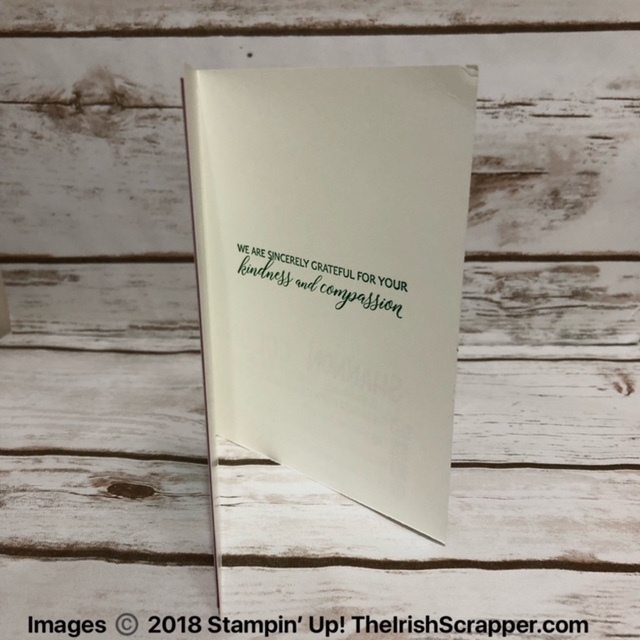 Order yours by September 10, 2018. Today is our last day of summer break so what better way to enjoy it than with a beautiful bright and summery card!! This week I'm going to be showcasing the Stitched All Around bundle. This is a BEAUTIFUL bundle and can be found on page 17 in the annual catalog. Here is my first project and I LOVE it!!! 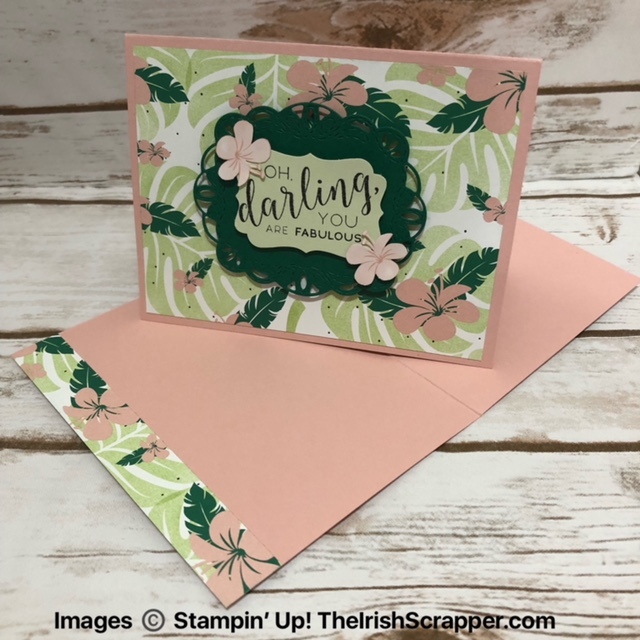 The tropical escape designer series paper just makes me happy. It's so bright and pretty. I'm look forward to more projects featuring this bundle! I'm so excited for today's project. I've been meaning to share this project for about a year! No kidding. 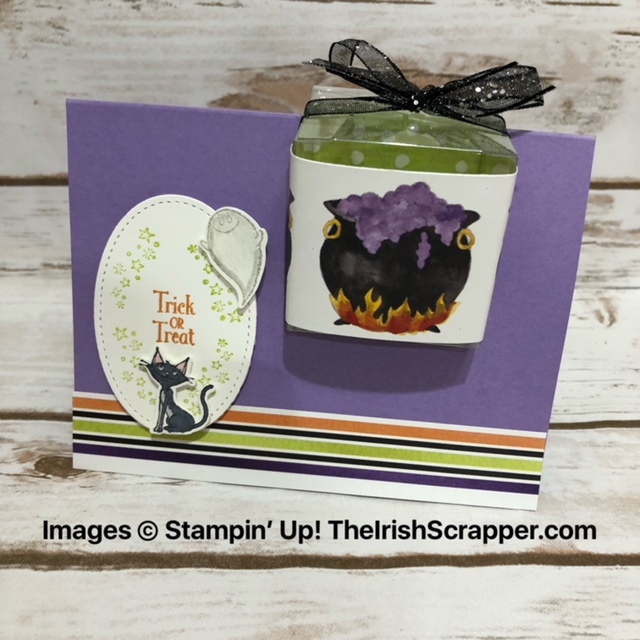 So, I thought this would be the perfect opportunity to do it and give you a sneak peek of some New Holiday Catalog Product: Cauldron Bubble! 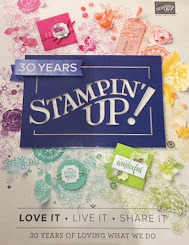 The Holiday Catalog will be available to customers starting September 5, 2018 but if you would like to join my team, you can build your Starter Kit from the holiday catalog now!! 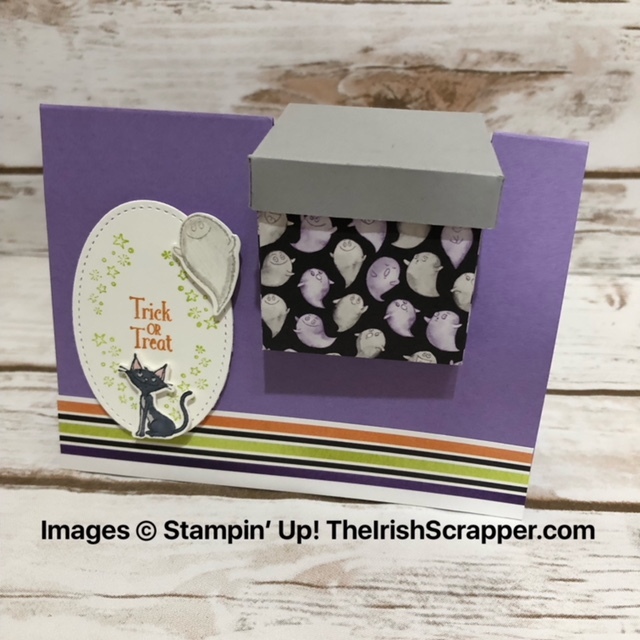 This suite called Toil & Trouble is going to be one of my favorites!! I will never part with this set. 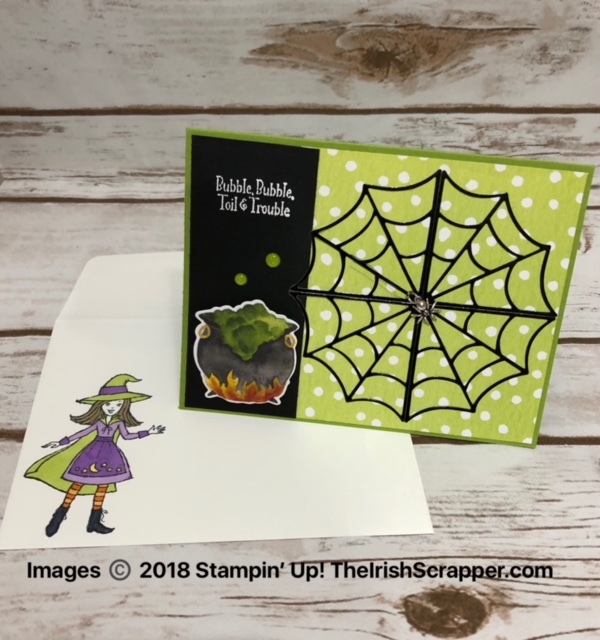 But since Halloween is a way off, I also created this project for a birthday using current product. I LOVE them all! Did you notice the box is our clear tiny treat boxes? However, you can also make your own 2 x 2 box out of paper which I also did below. It definitely needs some more embellishing. What I love about the clear boxes is you can see the treat or goodie that's inside. 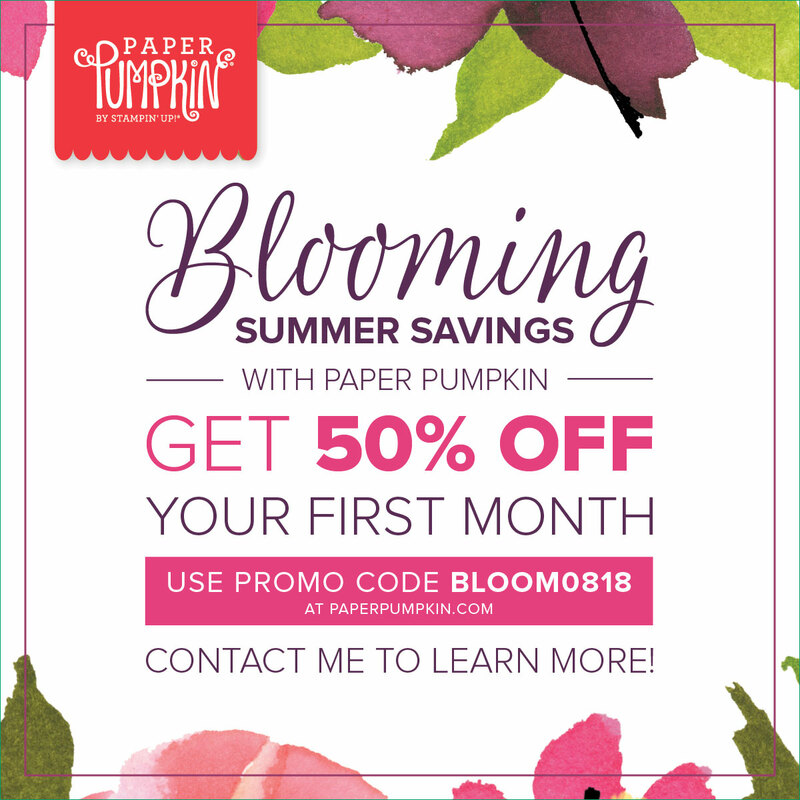 Last day for the Paper Pumpkin Sale!